It’s been rather a good week, so let’s celebrate. Perhaps a final that not many would have predicted concludes this season’s Wuxi Classic as Stuart Bingham takes on Ricky Walden over the best of nineteen untelevised (at least in the UK) frames. Stuart had a right old match earlier against Mark Davis, 4-0 up at the interval it seemed just a matter of by how many he would win rather than if he would, but Mavis had other ideas and took five on the spin to force Ballrun onto the back foot. A scrappy tenth frame ended up going Bingham’s way and as he is now becoming something of a final frame specialist having already this week beaten Peter Ebdon, Ken Doherty and Mark Selby in deciders, he coolly knocked in a 134 total clearance to win. Quite a performance considering what had gone before. Ricky’s match was in truth, one way traffic. Marcus Campbell never really looked like he was up for it and I’m sure will remain happy with a semi-final spot considering he didn’t play that well to beat MJW yesterday to get there. Ricky won 6-1 and was never threatened. Bettingwise, Bingham can now already claim the honour of being the biggest single winner in the short history of the blog with the place part of the recommended bet (33/1) landed. If he can go on to win tomorrow then he will inflate this to a 66/1 winner with a lovely place part on top, effectively a 99/1 winner. 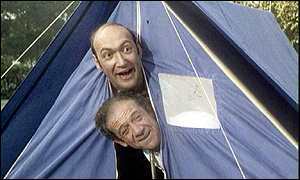 The pair have only met once, in a PTC last season which Bingham won 4-1. For me this is a very tough call and who would put it past Stuart again winning in a decider which surely in itself would rewrite the history books as I am fairly certain nobody will ever have done this. But will he win? I hope so, I really do, but for me Ricky looks marginally the sharper of the two and if I was coming into this without already having secured a decent profit I would probably back Walden, for a score I’d probably plump for 10-7 which is 9/1 at Stan James, the place where coincidentally, I have backed Stuart to win this at a whopping 70/1. It’s a shame that it’s not on the TV in the UK, but the streams are there for all to see. I’ll certainly be watching it, it could not only ensure a massive start to the season’s profits but that I’d have to be extremely careless to be showing any type of loss on the season as a whole even at this embryonic stage. I hope a few of you followed the recommendations in the outright preview, it’s always nice when a plan comes together. 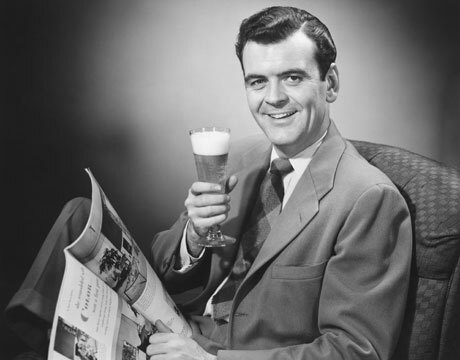 Now then, where’s that cold beer? Saturday sees the semi-finals of the Wuxi Classic with only two of the top 16 players in the world remaining in the fight for first prize and a whole stackload of ranking points. The day began with a total demolition job, Graeme Dott reverted back to Crucible Dotty and was accordingly punished by Dark Mavis who reaches his first full ranking semi final in 21 years as a professional, quite a staggering stat that considering he has become known as the perennial world number 17, but all credit to him for sticking at it when others might have thrown in the towel, as old Ma Snookerbacker always says ‘God loves a trier’, there is no God of course but I know what she means. 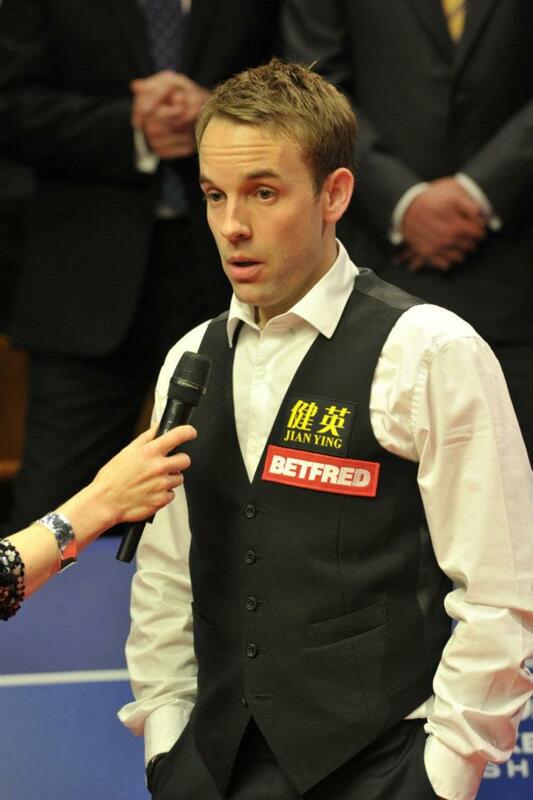 He faces the man in form Stuart Bingham who won his third consecutive decider of the week in sending Mark Selby home. It was a decent match and for me Selby is near match sharp and once he’s fully fit can look forward to a good season ahead, but Stuart’s break of 86 in about 4 minutes in the last just stank of a player who is supremely confident in his own ability at the moment, these new ranking events that are popping up at the start of the season are clearly his cup of tea. In the second session a truly awful match was played out between Marcus Campbell and Mark Williams, Marcus being marginally the less clumsy of the pair and deservedly winning through. It’s nice for him too as he’s a player that try as I might (and I do try) I cannot find a single person in the game that doesn’t love him. Marcus lines up tomorrow against Ricky Walden who was probably marginally the most impressive player today. From 3-1 down against Rob Milkins he hardly missed a ball and demonstrated why his near decombustulation against Perry yesterday remains such a mystery. He’s a class act is Ricky and you just don’t expect a player of his quality to nearly lose a match from a seemingly impossible position. But he seems to have put it behind him better than I have. Bettingwise, I am faced with a nice dilemma. I took the 70/1 on Bingham at the start of the event (the 66/1 was recommended in the outright preview as an each way bet, half the odds 1-2) so if he wins tomorrow, whatever happens it will have been a decent week in the end. So the question is, how much to lay off that he doesn’t win and Mavis sends him packing. The blog has always taken a sensible approach to laying good bets off so the bet I am going to recommend on the first match is purely a precaution for those who follow the bets on here religiously. The pair are level on the head to heads but you could argue that these can be thrown out of the window going into this. Mark is tasting full ranking semi-final action for the first time and Stuart is looking for a second ranking title to go with the one he won in Australia last season. I’d say Bingham is playing the better of the two by some distance and I hope that he can see this through to the end of the week. I think he’ll win here but as I explained above, the bet below is the right thing to do if you followed the advice to back him in the outrights each way. These two meet for the first time ever at a venue having slogged it out three times at the qualifying stages, Marcus coming out on top three times out of four. Again you have to look at who is playing the best coming into this and on today’s evidence for me there is only one answer to that and it’s Walden. That match against Perry with it’s strange twists and turns may be a mystical sign that this is Ricky’s week, but you know I don’t believe in all that codswallop, I just think Ricky is in the better form of the two and is the better player. Add to this that he is a proven ranking event winner in China and a UK semi finalist last year and you have a bet. Recommended Bet: 4 points on Walden (-1.5 frames) at Evens with Apollobet. 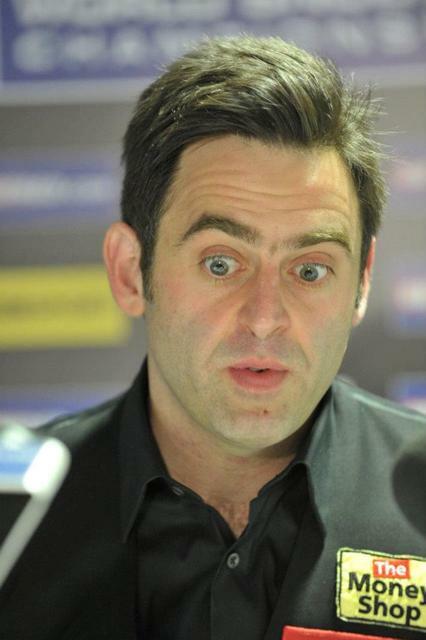 Ronnie O’Sullivan has now publicly stated that his main aim is to set up a breakaway snooker tour, encouraging other players to join him in making this dream or some might say fantasy a reality. He has been speaking to The Times and as well as naming the players he feels the public want to see he has also had a swipe at The Captain Ali Carter, claiming that he is one of those players just there to make up the numbers. Presumably this means that he’s not happy with his new job of opening pawn shops. Ronnie of course remains out of contract with World Snooker unlike all the other players he has mentioned, he also said last week that he’d be back playing in Shanghai, but that of course is conditional on him putting pen to paper and signing the contract. This all seems like hot air to me. We are down to the last eight over in Wuxi now as we switch to a two table set up with all matches from here on in either streamed or televised. The opening session of the Last 16 saw a fine performance by Rob Milkins aka Mill Hopkins, he played very solidly from 3-1 down to knock out Judd Trump, who unfortunately had chosen this day to tell World Snooker he was looking to dominate the game ermmm, ‘again’ (Answers on a Postcard). On the other TV table Mark Williams floated effortlessly around the table like a graceful Welsh swan and managed to overturn a 2-0 deficit to knock out China’s favourite son Mark Allen, also 5-3. On the outside tables Stuart Bingham won the last two frames against Ken Doherty to win another decider, Stuart hit a 143 and a 124 on his way to victory and keeps the 70/1 outright bet dream alive and kicking. The last match to finish in the session saw Marcus Campbell overcome the ever-dogged Ferginator 5-2 and Marcus’s reward is a match against the slightly quicker MJW. The second session saw a 5-0 win for the Jester Mark Selby over Jamie Cope, I’ll admit that I only caught the last frame of that one but by all accounts Cope could have easily been ahead at the interval rather than 4-0 behind, which you have to say is something of the story of his career to date. There were also wins for Dark Mavis and Graeme Dott who looked to be heading home in frame 8 only for the man of the moment Rod Lawler to overcompilate a red over the corner pocket and from then on there was only one winner. WARNING: READERS OF A NERVOUS DISPOSITION PLEASE READ NO FURTHER. Finally came the match between Joe Perry and Ricky Walden and a more nerve-wracking match to land a recommended accumulator you could not wish for. Having watched Selby and Campbell win fairly easily and with Ricky 4-0 up and 64-0 ahead in the 5th, you could forgive me for thinking that this was a pretty decent bet. But Joe had other ideas and clawed his way back to 1-4, then 2-4 (I was still relaxed), then 3-4 (I still figured Ricky would dish in one given the chance), then 4-4 (I was reaching for the pearl handled revolver and a fine single malt to say goodbye to the world forever). But then Ricky somehow steadied the ship and at 57-1 up in the last I thought that he must have weathered the storm and that maybe my lifeless corpse would not be slumped over my writing desk at Snookerbacker Mansions for Reardon (our Butler) to find and take care of the necessary arrangements in the morning after all. But alas, Joe started potting again, we got to the colours and Ricky potted the yellow (I loosened my grip on the trigger in the hope that this was it, my man could and would prevail and I would once again hear the sweet morning skylark on the morrow), then all of a sudden Joe was in again, in went the green (grip tightened on revolver), brown (I thought about all my regrets in life and took the final sip of this damn fine single malt), blue (there are tears in my eyes as I think about others and how they will feel when I blow my head to smithereens), pink (it’s time, it’s time, be brave SB, I’m ready….GOODBYE CRUEL WORL……..), but wait! then Joe misses, or at least does something to not sink the black…..could it be?????????????? 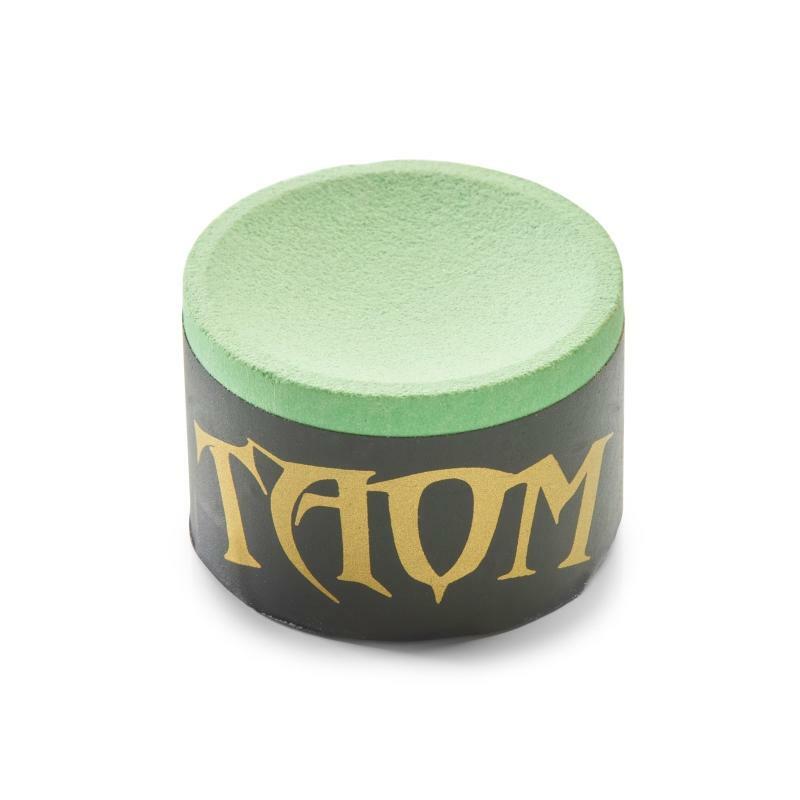 Dare I dream???????? YES! Ricky pots the black and I drop the revolver to the ground, accidentally shooting the cat dead but what the hell? The winnings can more than cover the cost of a new one. Well done Ricky! Yeeehhaaaa! “Any more Single Malt in the cellar Reardon?” I call as I lock away the revolver in the bureau and slip the key into the breast pocket of my smoking jacket. So as I was saying, a much better betting day with the acca landing as well as the recommended handicap double. If MJW or Bingham can win this, or in Bingham’s case just reach the final it will be a very good week indeed. EDIT: THE TIMES BELOW ARE INCORRECT AND WILLIAMS AND CAMPBELL PLAY IN THE SECOND SESSION WHILST DOTT AND DAVIS PLAY THE EARLY ONE. It must have been the crispy duck. I am in a position where I don’t need or want a bet on the morning session, especially after today. But for information for those that do Mark Williams holds a 4-0 head to head record over Marcus Campbell with Big Marcus never really troubling him. To me MJW looked just about as good as he ever does out in China earlier and as though he is keen on winning this, he tends to improve every round and a similar performance to today should be enough for him tomorrow. I certainly would not swap the 16/1 I have on him winning this with any other player in the field at this stage and I think he’ll win here. We haven’t yet seen Stuart Bingham but he’s been knocking in the breaks and has won two deciders to get here against experienced old heads Ebdon and Doherty. I’m still not 100% convinced that Selby is fully fit and if Stuart can bring his A-game here he stands every chance, Mark has so far beaten an under-par Barry Hawkins and a careless Jamie Cope and hasn’t really been put under any pressure, Stuart should be able to do that so this is the first real test he has faced, Selby leads 8-4 in the head to heads and interestingly their last three encounters have all gone to deciders, all won by the Jester. I have come to the conclusion that I consistently underrate Mark Davis, I rarely back him and he hasn’t got to the position that he is in the world by not winning matches that he should win more often than not. But just when I start to change my mind about him he throws in a wobbly one and that is why I can’t back him to beat Dotty. Dott is a player that regulars will know I side with more often than not as I believe the bookies don’t always price him correctly, looking at the odds for this I think that’s the case again. For me he beats Davis in every department and I’d say that anyone looking at a bet tomorrow should look no further than Graeme at 8/11, I’d have him as a 1/2 shot for this personally, but you have to factor in all I said at the start about my ‘trouble with Mavis’. Ricky Walden and Rob Milkins have never played each other as professionals, for me, Milkins is currently in the form of his life and after the wobbles from Ricky today I’d marginally fancy the Gloucester man to prevail in that one. Recommended Bet: 2 points double Dott and Milkins (+1.5 frames) pays just under 13/8 at Apollobet. It’s Day 4 over in Wuxi and at the conclusion of it we will know the quarter finalists in the first full ranking event of the season. 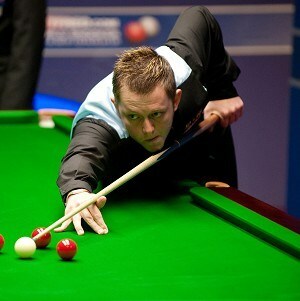 The first session of day three saw whitewashes for Mark Williams and Ricky Walden, both winning in a canter. Shaun Murphy’s less is more preparation routine took a predictable path as he was soundly put in his place by Ken Doherty. I flagged up on yesterday’s post that Shaun had spent the whole season break on the golf course, which would have been ideal preparation had he been a professional golfer rather than a snooker player and hopefully now he’ll realise that this pre-season ritual has been tried, tested and thrown in the bin. The other match saw Rob Milkins continue his 100% success rate over Andrew Higginson, the pointers were all there on yesterday’s post so I hope a few of you got on the outsiders Doherty and Milkins. The second session saw Judd Trump display flashes of Naughty Snooker and a new hairstyle in giving Dom Dale a good walloping, the thing with Judd is that when he gets it right he really gets it right, but when he is a little bit out of form he can look very one-dimensional, his game I mean, not his hair. Scouser Rod Lawler’s sublime start to the season continued with a 5-4 win over Stephen Maguire, Rod it’s fair to say is as poles apart from Judd as you can get but he gets the job done and played very well indeed, winning it with a good solid, if quite slow clearance, he held himself together well when it looked like he might have thrown his chance away. In the other two matches, Stephen Lee was beaten by Marcus Campbell which was a bit of a surprise to me given Lee’s form last week whilst Graeme Dott safely sunk the final wildcard to land in the last 16. Bettingwise, a better day. Rod winning ensured a profit but Lee losing prevented us getting back on track by landing the enhanced acca, when the other three on it only lost 1 frame between them. Judd is back in action straight away and faces Rob Milkins next in a match that isn’t likely to last very long. I’ve been impressed with Milkins lately, he looks sharp and very focused when I have seen him play, but Judd looks to me like he’s got his game face on this week and I think the attacking style of the match will be right up his street, it has to be Judd I think. The two enemies of the state Mark’s Allen and Williams meet next, if their head to heads were on recent fines Allen would of course be leading by and impressive 11,000 to 4,000 (with costs) but as it stands he only leads the head to heads 3-2 with one draw. Without knowing how Allen played in his first match it’s difficult to have a real angle on this one but I fancy the winner will have a stake in the tournament at the end and having backed MJW I am happy to watch what I hope is a decent match. The other outright I have left of course is the 70/1 poke on Stuart Bingham and he faces Ken Doherty next up, interestingly in four meetings Ken has never lost to Stuart but tomorrow I think that cycle might be broken, as much as I like Ken I certainly hope it is. Then comes The Ferginator and The Vagabond, Fergal against Marcus. Both overturned more fancied opponents in Round One and you could argue that they are evenly matched but I think when Marcus has his tale up he is a better player all round than Fergal and the heavier scorer, I fancy him to win this one. 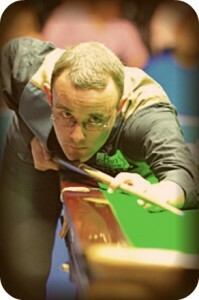 Jamie Burnett and Mark Davis replace a match between Robbo and Ding as a surprise Last 16 encounter. I think they both benefitted from under-par performances from their opponents to get here but Burnett to me looked the stronger of the two. He saves his best for China and I fancy him to overturn the odds here. For me, despite the odd glitch, Mark Selby looked very solid in his first match against that tanned fella, the Jester now faces Jamie Cope and again these are two players that don’t seem to be affected at all playing in China. Selby is frightening when he’s in hoover mode and Jamie does miss a few too many at times to really fancy him to cause an upset against the undisputed Master of Brinkmanship. Then Rod is up again and he faces Dotty, we have no idea how Graeme is playing but we do know that our Rodney is full of confidence, the reality call he was faced with looking for a new career at 40 years old if he had not qualified through Q-School to regain his pro-status seems to have focused his mind fully on the job, it’s a tough ask to beat an in-form Dott but he’s more than capable of progressing if Graeme is not at his best which he has not been now for quite a while. Finally, Ricky Walden and Joe Perry, they have a head to head of 2-2 with Joe winning the last two times but I have a little feeling about the old cue-licker this week, I know he has been putting the work in and often it’s the players that do that in the closed-season reap the rewards early on. 2 points on Burnett at 5/4 with Apollobet. 2 points treble on Selby, Campbell and Walden at over 3/1 with Bet Victor. 3 point double on Burnett (+2.5 frames) and Lawler (+2.5 frames) at a shade over Evens with Apollobet. Following the launch of the Snookerbacker Classic at the weekend it is fair to say I have been bombarded with requests to reserve a place in the tournament, so much so that today, just three days into the opening of the event I have to announce that the first qualifying leg at Leeds on September 29th is now closed for entries as it’s full. It’s a nice signal to me personally that the event was the success I thought it was last season and Leeds was right up there with one of our best experiences of the whole thing, a great club with a great atmosphere and if you aren’t playing and are in the area on that particular Saturday I hope you will come and watch some great snooker being played and sample Mrs SB’s excellent cakes. You can view all you need to know about this year’s SB Classic on the blog by clicking here or by joining the SB Classic Facebook group here. The two 32 player events at the South West Snooker Academy in Gloucester are also filling quickly and I have 12 places left in those which you will need to reserve with me directly either on here, by email, on Twitter or via the Facebook Group. The Dublin event is also proving popular and I now have just 5 places left in that one. The other two events in Hartlepool and London are a little slower to fill, probably because they are the two new venues I am using this season, but if you want to play in the Classic and you are in either of those areas, get in touch with me to reserve your places. Those who have entered Gloucester may also want to consider London as a back-up should they not qualify from the SWSA, if they do qualify then their London entrance fee will be refunded in full. Incidentally, one of the entrants yesterday was a former professional by the name of Matt Bayley, who is coming over from Canada to play in the event. It would be great if some of my European pals made the trip over to London to play, the event is of course not just restricted to UK professionals and perhaps the next Luca Brecel is there waiting for a chance to hop over and get to the finals? Anyway, it’s great to witness a real enthusiasm from UK amateur players to get involved, you can’t win it if you aren’t in it and anyone that believes the UK amateur scene is dead should stand in my shoes for a day. It’s thriving and just needs the chance to make that step up, there are some great players and top people out there who treat the game very seriously. For those that have entered the Leeds event. The Paypal Option at the top of the sidebar of the blog remains a payment option but I will contact you all directly with bank details to pay directly to me. All reserved places will remain reserved until 28th July, at which point I will contact the two reserve players that unfortunately were too late to enter. It’s Day 3 over at the Wuxi Classic and it’s fair to say that so far this is producing some surprising results with Neil Robertson, Ali Carter and Ding Junhui all being knocked out on Day 2. The first session of the second day saw comfortable victories for Mark Allen over Routi Maimaiti, Mark then treated his Chinese fans to an autograph session after the match, they both left very happy by all accounts. 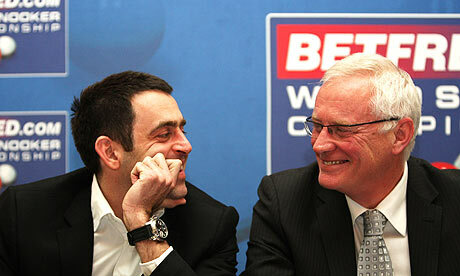 Jamie Burnett also gave Neil Robertson a bit of a pasting and Robbo looked very un-Robbo like. I don’t know what it is with him but he doesn’t ever really look like the same player we know and love over in China, whereas some, Burnett included seem to always play well over there. 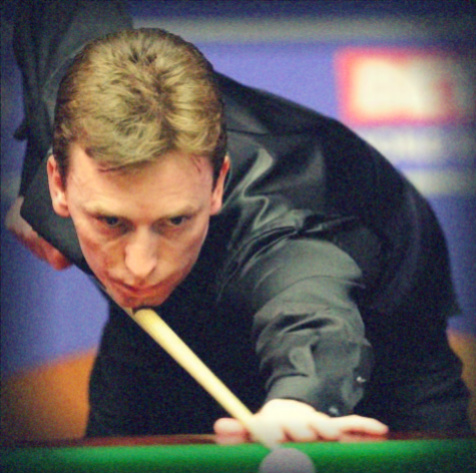 In the other two matches Ken Doherty came through by the skins of his ‘teet’ against wildcard Lu Ning, who looks a real prospect. Lu looked set to win the decider with a killer clearance before going in-off at a near impossible angle in the middle pocket off the final brown, but credit to Ken again as he dug in when 4-2 behind and we all know that is when he produces his best stuff. Stuart Bingham and Peter Ebdon had a right old slog, with Ebbo seemingly the one largely responsible for them being hauled off before they had finished their match. Stuart however came back re-invigorated and continued his recent winning run having won his last two tournaments, The Pink Ribbon and APTC1 and he now progresses into the Last 16 of this. In the second session Ding lost again, he doesn’t seem to produce anything like his best in China these days and clearly prefers the green and pleasant land that he now calls home, maybe the shift to China isn’t even to his liking. Dark Mavis saw him off and to me he looked like he had a tan aswell, he was obviously a chaperone for Barry ‘Mahogany’ Hawkins. Ali’s glum mood going into the match transpired into a loss to The Ferginator and he’s probably wishing he hadn’t bothered now as he heads to Australia next, presumably knowing him, via Essex. Michael White was the third player to fall foul of the curse of the wildcard and sadly, he lost out on the chance to have a match against Dotty at a main venue. In the other match, Martin Gould’s dismal run of results continued as he was beaten 5-3 by Jamie Cope, who is another that sometimes finds some form here. Bettingwise it was another slightly disappointing day, had Lu Ning not gone in-off we’d have posted a winning day with Cope obliging at odds against but as my old man used to say, ‘if my Auntie had balls she’d be my uncle’ so no point dwelling on it. On a day of shocks it could have been much worse and I was right not to put any faith in Robbo or Ding, even if I did trust the Captain to fly out of the doldrums with a win. One light on the horizon is the 70/1 I have on Bingham in the outrights, hopefully that might get interesting as the week continues. Fore Away: Smurf eyes up a difficult putt, I mean pot. MJW and Tom Ford both played in the APTC last week and so should both be fine, in tune and raring to go. Williams has beaten Ford on their only two meetings and is the most successful player ever in Chinese ranking events. He’s my main outright pick in this and despite the shocks we have seen so far I don’t think he will join the list of casualties, the bookies share that view. 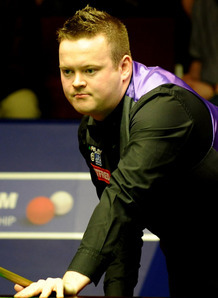 Nothing has been seen of Shaun Murphy since his first round loss to Jamie Jones at the Crucible, unless you have been hanging around golf courses in the North West of England that is. Now you can take the following statement any way you wish from Shaun’s blog but personally it doesn’t fill me with a great deal of confidence in his chances ‘I’m going out mentally very fresh as I’ve tried something completely different this year in that I’ve given myself more down time than previous summers. In fact, apart from one exhibition in Middlesbrough, I’ve not played at all.’ Now our Smurf might be mentally fresh but if he picks up his cue and starts swinging it like a 7-iron he’s going to struggle. Ken might have a chance in that one despite the fact he himself wasn’t that impressive until nearly beaten in his last match. I think Ricky Walden will put an end to wildcard Zhu Yinghui’s tournament, Ricky by all accounts wasn’t in tip top shape healthwise towards the back end of last season and has been putting the hours in for a few weeks at home. I’d say that based on what we know about both of them the match between Andrew Higginson and Rob Milkins is the toss of a coin, but the head to head has Milkins winning two best of nines with ease, one of them in China last season so perhaps something about the attacking styles of the pair suits the Gloucester man, but on balance it’s not really a bet you can have with any real confidence at 5/4 with Stan James. 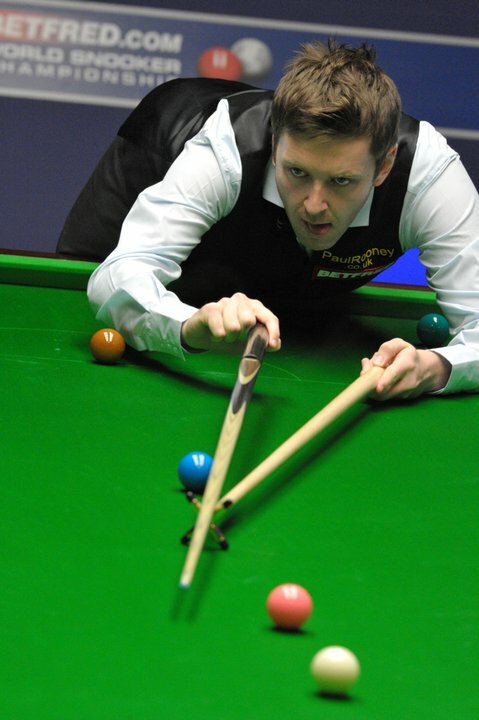 Judd Trump finally sorted out the visa issues that threatened his participation in the event and the joint tournament favourite lines up against Dominic Dale here. The head to heads are 2-0 to Judd and from what I can detect Dom has only won one match in China since winning the 2007 Shanghai Masters and even that was against a wildcard. Judd often plays well here and I think he’ll probably come through that one having made the effort to get there, he’ll need to have put the hours in since his trip to Vegas though. 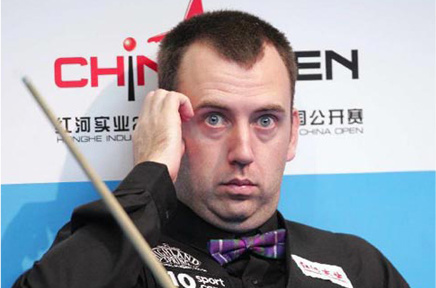 We can only assume in the absence of photographic evidence that he actually showed up that Stephen Maguire had a bizarre result last week at the APTC losing in the first round 4-0 to Cao Kai Sheng (who?) and he faces the in-form and match sharp Rod Lawler, the pair haven’t met for nearly a decade and on current form I would have to give Rod an outside chance, could be worth a look at the handicaps. Last week’s APTC runner-up Stephen Lee looks to be picking up from where he left off last season and he is probably worth a bet to see off Marcus Campbell, who went out first round last week and isn’t in a great streak of form. Graeme Dott was as rusty as a fork from the Titanic at the Crucible and will have to have done some work on his game to get it right in time for this early start to the season, usually not one of the better travellers on the circuit he could easily slip up against the young wildcard Yuelong who put Michael White out today, he really was awful in Sheffield was our Dotty. Recommended Bet: 2 points Lawler (+2.5 frames) at 4/5 with Apollobet. 0.5 points on Lawler at 3/1 with Boylesports. Recommended Enhanced Acca: 3 points on Walden, Williams, Lee and Trump pays an Enhanced 5/2 at Apollobet (back it here). As the first full ranking event of the season continues over in Wuxi, the hole that is currently left in the game in the shape of the World Champion Ronnie O’Sullivan is today on his way to open a pawnbrokers shop for poor people in Telford, oh the life of the rich and famous. We all know that our Ronald is a bit upset at some of the terms in the players contract that World Snooker insists on all their players signing in order to compete in main tour events. It seems that the terms in particular that have upset him are the ones that hit the Rocket in the Pocket. He (or more likely his management at Grove) have chosen the Chinese Twitter equivalent Weibo to tell fans what he thinks. In this two tweet edict from earlier this month, he maps out in no uncertain terms that he is more than happy to compete in events over in China as a wildcard, assuming that is that promoters meet his increasingly inflating financial demands, demands which seem on the face of it to be inflating at a rate directly correlating with his ego. So the question is, is this a feasible option? Can Ronnie, who whilst out of contract can effectively be classed as an amateur, be invited at will by sponsors to a tournament which he can win without receiving any prize money or ranking points but in the background receive more than he would have done had he competed as a professional? It certainly would set a premise that could open floodgates to oceanic proportions and change the way the sport operates. It may be that he has a point but I for one can’t help but think the whole thing is just a little bit grubby. Is one man bigger than the sport? I don’t know, but I do believe that if anyone is, Ronnie is. The comments section is open!!! It’s Day 2 over at the Wuxi Classic and already the curse of the wildcard rounds has once again reared its ugly head over in China with both Dave Harold and Michael Holt on their way home before they have even had time to unpack. For me the only totally inexplicable result occurred in the first session with the experienced Harold being absolutely hammered by Rouzi Maimaiti, who before this had never won more than two frames in a best of nine match. The other two matches were safely encountered by the tour players Jamie Burnett and Rod Lawler who beat opponents who could rightly be considered a different league to the man who won through. All very odd, but that’s snooker I suppose. In the second session Holt came a cropper against Zhu Yinghui who as I pointed out in the first preview had a bit of form with the Hitman. There was no such trouble for Mill Hopkins and The Ferginator though who both came through with 5-2 wins against their wildcard opponents. Fergal now through to face The Captain on Day 2. Mark Selby looked in reasonable shape in his match against Barry Hawkins though the Hawk did have his chances. It seems that the gossip about Selby’s neck was not the gossip that should have played a part in deciding on bets, little did I know that Barry had only got back from his honeymoon on Friday and judging by the colour of him this was not one that the happy couple spent in the Sheffield Academy or some such place. No, Barry was proudly sporting a mahogany tan which stank of a player that was under-prepared for this. I take nothing away from Selby though who played very solidly in his cute little black glove (the same one he picked his nose with when he last wore it live on air). Bettingwise, Harold started the day with a bump and it didn’t get a whole lot better. A bad day at the office but we haven’t let that get us down in the past so it’s time to have a look at the next crop. Neil Robertson kicks off his season with a tricky tie against Burnett. As far as I am aware Robbo hasn’t been on a second honeymoon and has been quietly preparing for the season at home. You would assume that if he is prepared he would take care of Burnett in his clinical, methodical way but he’s not really any sort of price to be getting involved with and the bookies are taking no chances. Wildcard Lu Ning has a wildcard record of played 2 won 2, having beaten Nigel Bond and Jamie Jones last season as well as going on to beat Shaun Murphy 5-2 in the China Open. Looking at his results and the fact that he also beat Matt Selt before losing a decider to Michael White in the APTC last week he is not a player that Ken Doherty can afford to take lightly, that one could be very close. I’ve backed last week’s APTC winner, the bang-in-form Stuart Bingham in the outrights so I have to side with him to see off China Open winner and lover of organic carrots and loud-clapping Peter Ebdon, they have a 4-4 head to head stat but Bingham has won four of the last five meetings, they have both been there for over a week so it’s a level playing field and I just fancy that Bingo is in full flight at the moment so can’t be opposed. 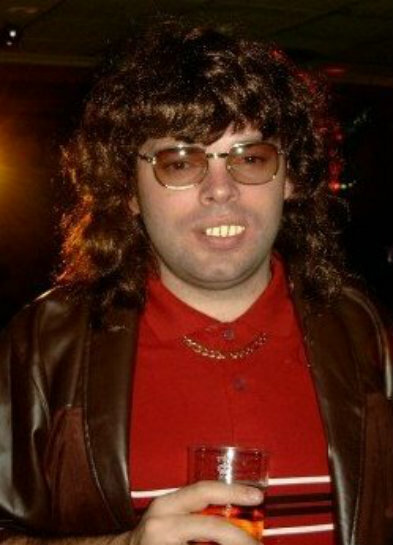 If Mark Allen loses to Rouzi Maimaiti I will eat a dead cat. Ding Junhui enjoys a 4-1 head to head lead over his opponent here Dark Mavis. Ding can be a little off colour sometimes in China but having been only narrowly beaten in the APTC by Bingham in the Quarter Finals he’s probably tuned up enough to see this one through. It will be on the main table of course and Mark can sometimes struggle in that situation, though he is getting better at handling it. Before I totally write off the chances of Zhou Yuelong given that he has not won a wildcard match before, I will remind myself of my thoughts on Dave Harold on Day 1. White however should be sharp enough after a run to the APTC semi-finals last week which included a win over MJW so I think this is a safer proposition than the less prepared Dave was (oh the benefit of hindsight). Ali Carter comes fresh from his Crucible runner-up slot to take on the Ferginator, the Captain doesn’t seem to be enjoying himself too much there at the moment and is complaining of being bored, not a great sign for his supporters but I’m sure he’ll forget all that when he gets back on the baize, he was superb at times in the World Championship and his confidence levels should be sky-high, pardon the pun. Finally we have Martin Gould against Jamie Cope, Jamie beat Martin in the World Open in February in a decider and to say that Gould struggled towards the back end of last season is an understatement, he has won just 3 of his last 12 matches and must be very low on confidence, I hate to kick a man when he is down but you have to back Cope at odds against here. Recommended Treble: 3 points on Allen (-1.5), White and Carter pays just on 13/8 at Apollobet. To view Apollobet’s latest match prices click here. I’m not a huge fan of Facebook, I much prefer Twitter and most of you will know that I am what can be described as a committed and prolific Twit (spellchecked). But yesterday I decided to try and get to grips with ‘the other side’ and build a repository for all things SB Classic related and I’m quite happy with the result. 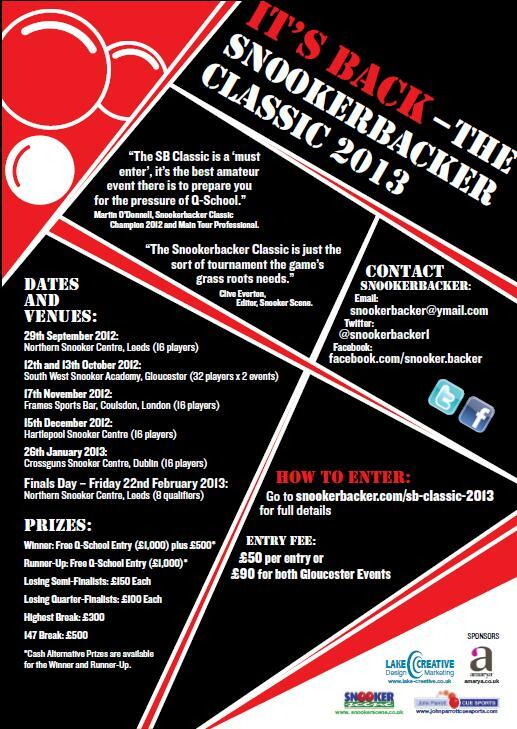 If you click here you can join the group and find out about any updates I post regarding the 2013 Snookerbacker Classic that way. There are also images from last year’s Classic in the ‘Photos’ tab and a copy of the full terms and conditions, as well as a copy of the flyer and a 2 minute brief ‘what you need to know’ document in the ‘Files’ tab. In the ‘Events’ tab you will find all the dates and venues, along with directions and you can say if you are intending to come along. You can also use this to request a reserved place at any of the events. 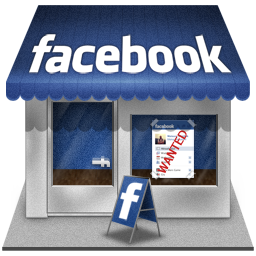 I’m not really sure about Facebook etiquette and if the request to join the group that I sent yesterday cheesed anyone off I am sorry about that. It will be used in the future to update players, officials and interested parties when there is a need to. I will also post periodic updates as regards entry numbers on there and of course when I am in a position to make the draw for events it will be posted on there too. If anyone has any ideas for other things I might add to the group pages please feel free to let me know either on here or on there.